The population of Castle Rock just went up by one. 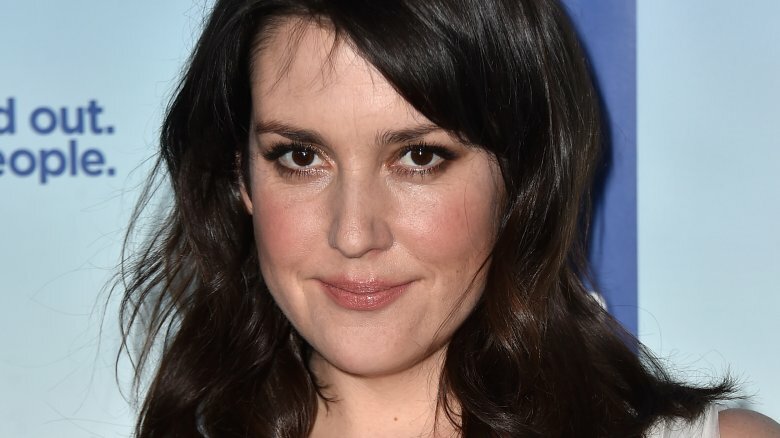 Deadline reports that New Zealand-born actress Melanie Lynskey has signed on as the female lead in Hulu's upcoming psychological-horror drama based on the universe of author Stephen King. The show will come from Bad Robot Productions and J.J. Abrams will produce. Castle Rock is set in the fictional town in King's native Maine that is prominently featured in many of his novels, novellas, and short stories like Needful Things and Cujo. The anthology series will interweave several different storylines that borrow characters and plots from King's work, but it won't stick to any specific source. Lynskey will play Molly Strand, a woman with a rare medical condition who is struggling as a real estate agent in a town where bad things always seem to happen. She'll star opposite Andre Holland (Moonlight), who plays a death row attorney with a complicated history. The cast also includes Sissy Spacek (Carrie) and Jane Levy (Suburgatory). Lynskey made her acting debut in Peter Jackson's Heavenly Creatures, and she's one of the leads of the HBO comedy series Togetherness. She's also appeared on Two and a Half Men and was recently seen in The Intervention. Watch the first teaser for the show, then check out some of the TV shows that will blow everyone away this year.